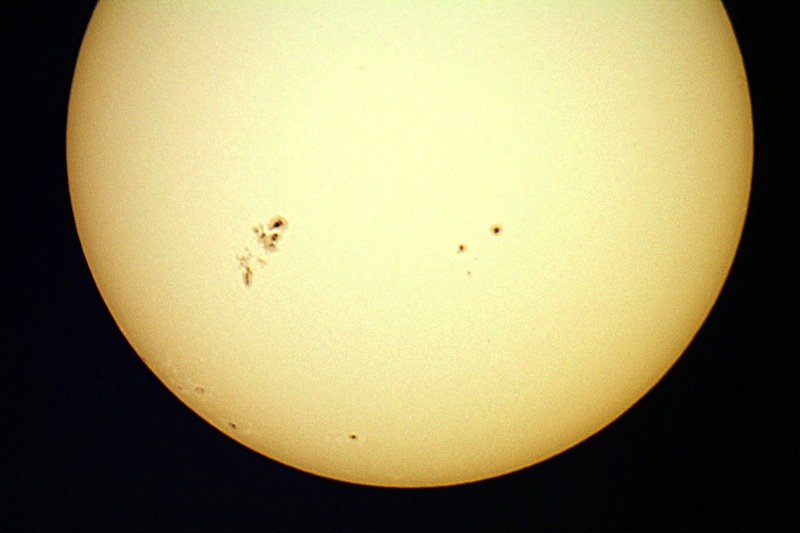 Sun - Sunspots are manifestations of the Sun's magnetic activity, and appear more frequently during periods of time approximately 11 years apart. Charged particles from the Sun ejected during these periods of increased activity can affect orbiting satellites and other modern technology, and are also the cause of aurorae when these particles interact with Earth's magnetic field. This photograph shows a large group of spots on November 6, 2011. These were the largest sunspots to appear at that time since 2005; in fact, the area covered by these spots was larger than the planet Jupiter!